Check out these bodacious curves! Yes, bodacious. Confession: I’m kind of addicted to room and furniture makeovers. In the seven short years I’ve lived in my house, my walls have been teal, yellow, red, tan, and grey. Only barely did they escape becoming eggplant purple (still have the cans of Blackberry Currant to prove it). 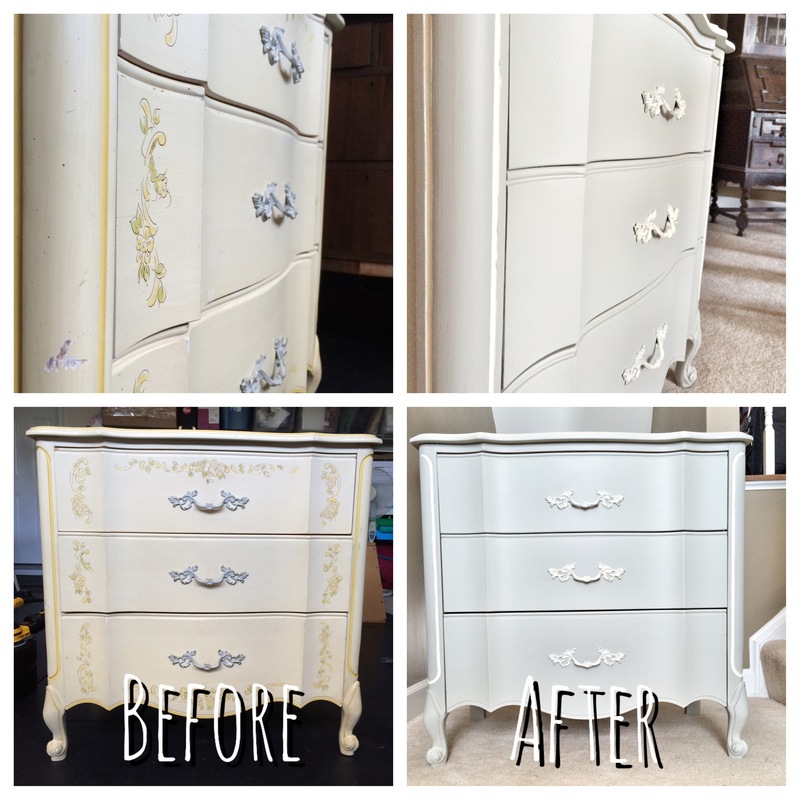 So I know how much a coat of paint can completely transform a thing, and for someone with constantly evolving taste, it’s a major budget-saver. 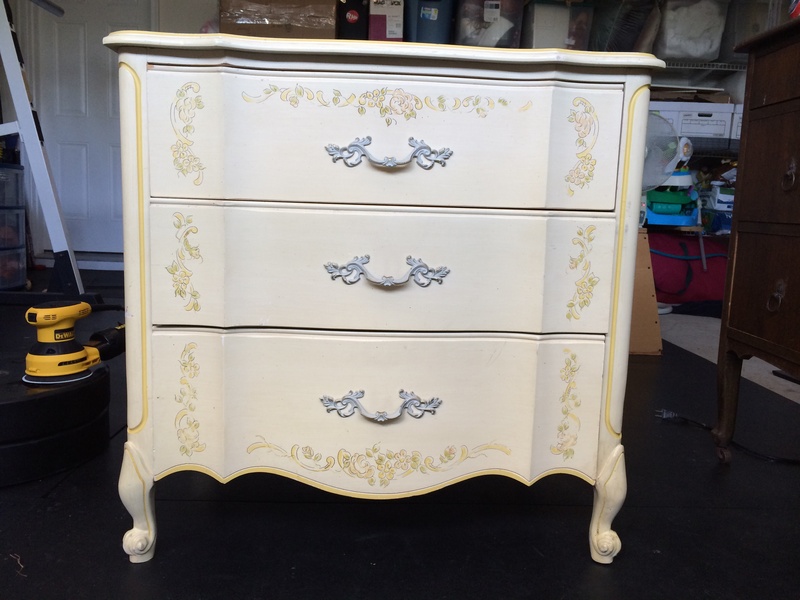 So when I saw this small, dated french provincial dresser, I knew all it needed was a bit of TLC to restore its tres chic status. 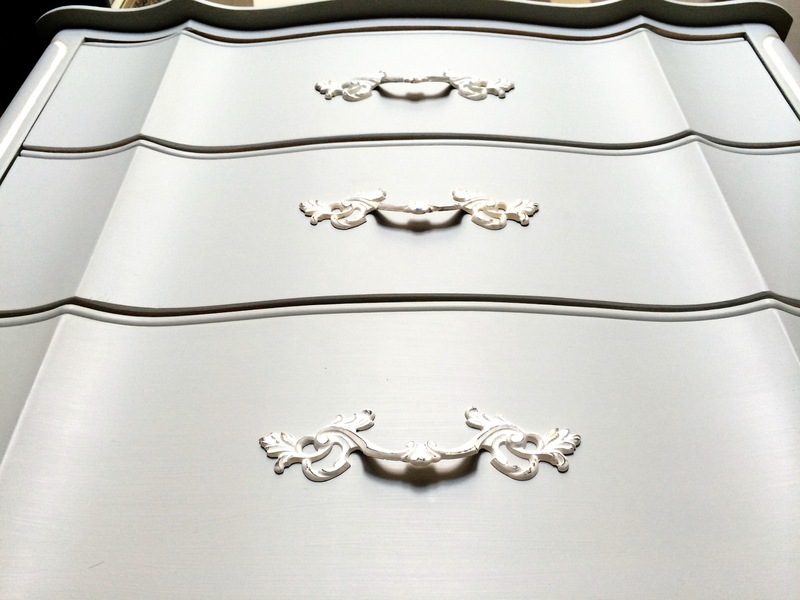 Most of the french provincial style furniture you see today is likely from its revival period in the 1960’s. 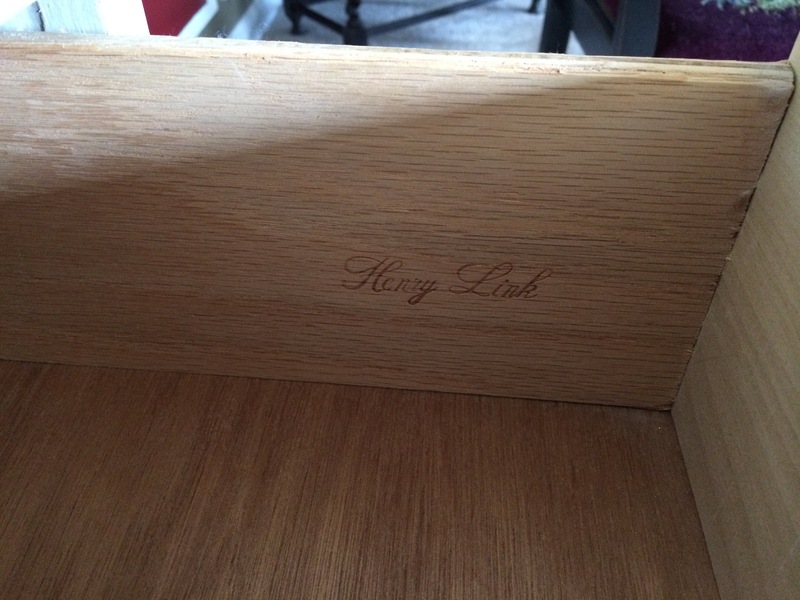 One of the top makers of french provincial furniture from that era is Henry Link, which I was surprised to discover was also the maker of this little piece. Score! On the surface, this gal was in fair shape, but under the hood had a few deep scratches and needed some structural and hardware repairs. Pro tip! Before buying a piece of used furniture, don’t forget to check under the hood. Remove all of the drawers. Inspect all sides, front and back. Check exterior and interior hardware for loose or damaged spots. If the piece is against a wall, move it so you can really get a good look. 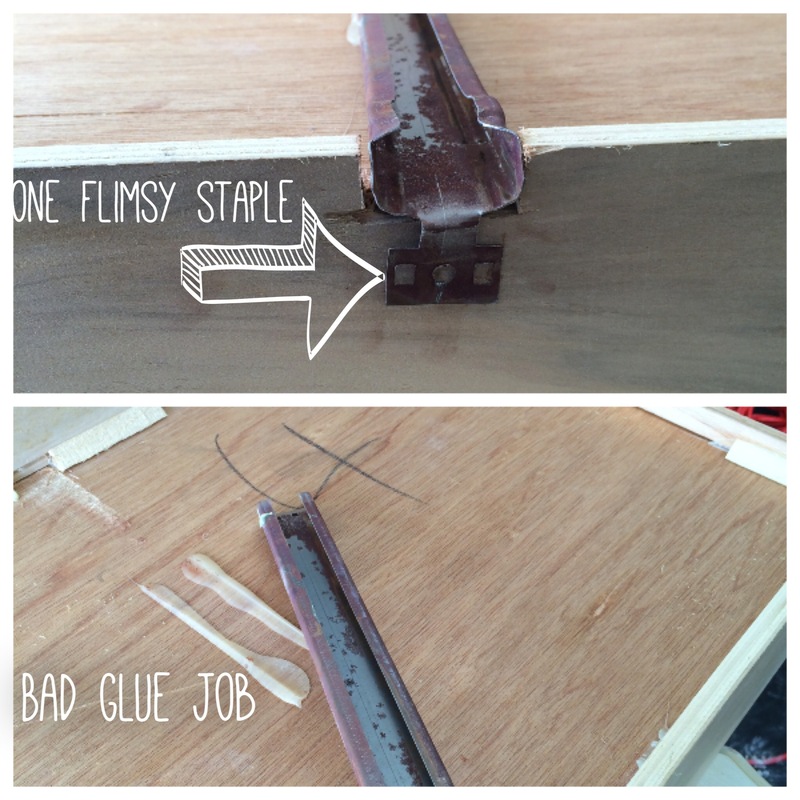 Once repairs were made and hardware removed, I prepped the surface for painting with a light sanding – just enough to remove the sheen from the Formica and smooth out sloppy rough spots in the detailing. A quick wipe down, and she was good to go for the next stage of painting. 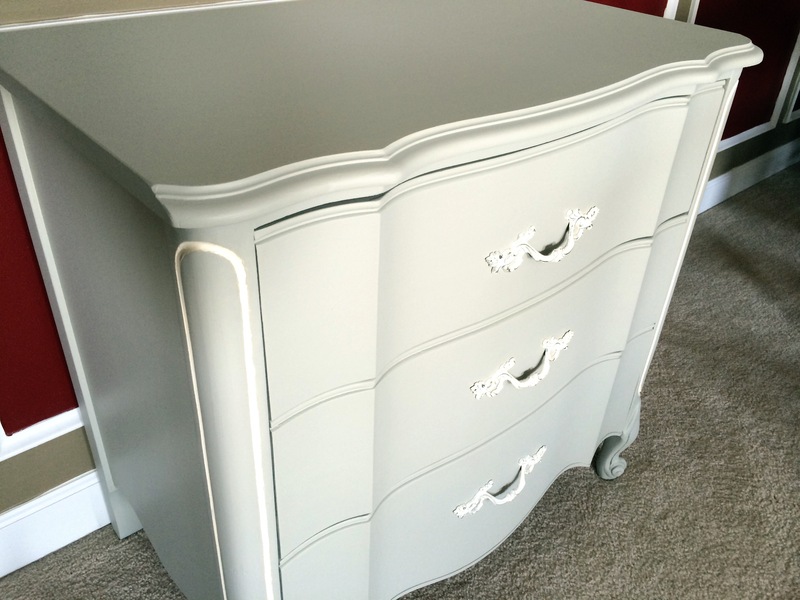 Since this is my first piece preparing for retail, I chose a warm grey base accented with cream in the Fusion Mineral Paint line (a chalky-type paint that doesn’t require a top coat). It was my first time using it, and I really liked it (full review to come). Two smooth coats with no primer was all it took. Pretty, isn’t it? Pro tip! To fake a continuous stroke, put your freshly dipped brush below the last place you left off and blend the new paint into the exist stroke. It’s much easier to lift the brush off wet paint without a stroke mark than it is to put the brush down on wet paint without a mark. Now for the detailing. The bloody detailing. Unless your hands are steady as surgeons’ this task is no quick feat. Not only do you have to paint the lines evenly, but also without brush strokes so that it looks like one continuous line. I ended up using painters tape (also not easy to cut it for these sweet curved lines). 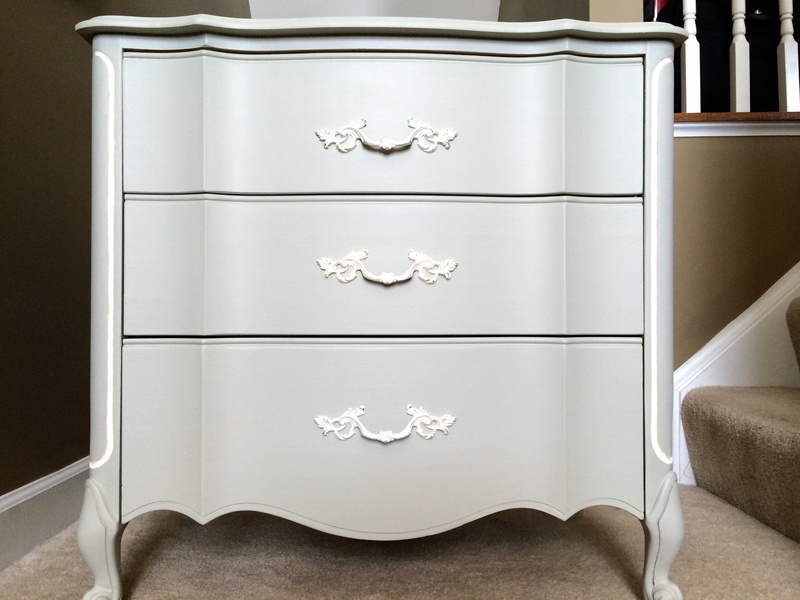 In between detailing coats, I painted the hardware the same cream-colored shade, mixing a bit of water into the paint to thin it out and keep it smooth over the ornate bits. A paint sprayer would be really helpful for this type of thing in the future! 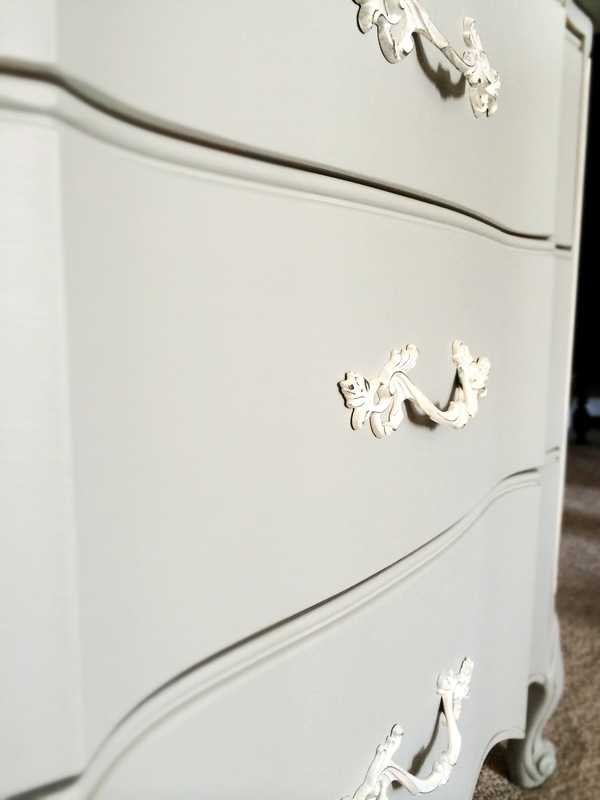 Finally after three coats, I distressed the drawer pulls by hand sanding. Ah, so fresh! So what do you think? I wish I could keep it for myself! So tell me in the comments, what color(s) or technique would you have chosen?